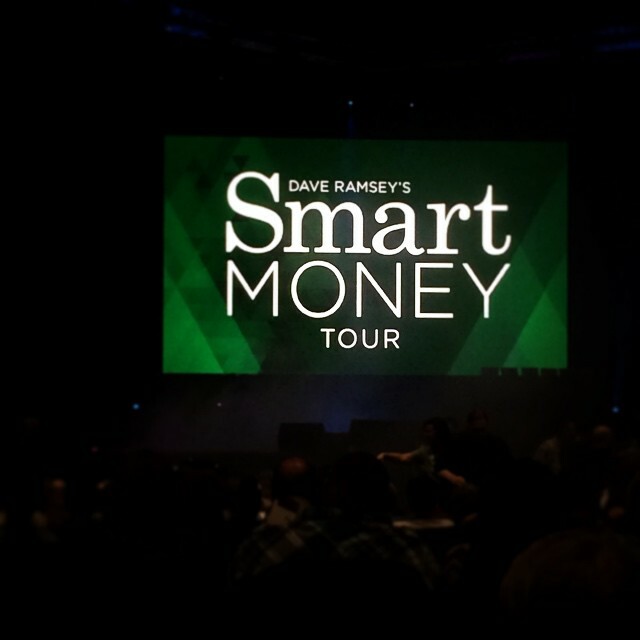 Probably the coolest thing that happened this week is we got to see Dave Ramsey and Chis Hogan LIVE via their Smart Money Tour! Originally we weren’t planning on going because we thought it would just be more of the same stuff we already knew, and eventually we’re going to do a trip to meet Dave and do our debt-free scream. As the weeks progressed and he talked about it on his show, I started to regret not getting tickets. Then Joshua and I came to our FPU class Monday night and the head of the finance ministry asked if we were interested in going since one guy was sick and couldn’t go. I’m so glad we got to go! Even though a lot of the material convered was review for us, it was still neat to see both Dave and Chris. Not only that but they introduced their new budget program called EveryDollar which is like Mint but for people who are on the Dave Ramsey program. It’s still in Beta and you have to join the waitlist, but we all got invite codes at the event that allowed us to start using it right away. Yesterday Joshua and I did our budget for March with it, and it we LOVE it! Just what us nerds need! Monday was a nice slow day at the office which was great given that we were all coming off a weekend away with each other in Bodega Bay. At the end of the day we began disassembling this massive desk unit in preparation for remodeling the office. 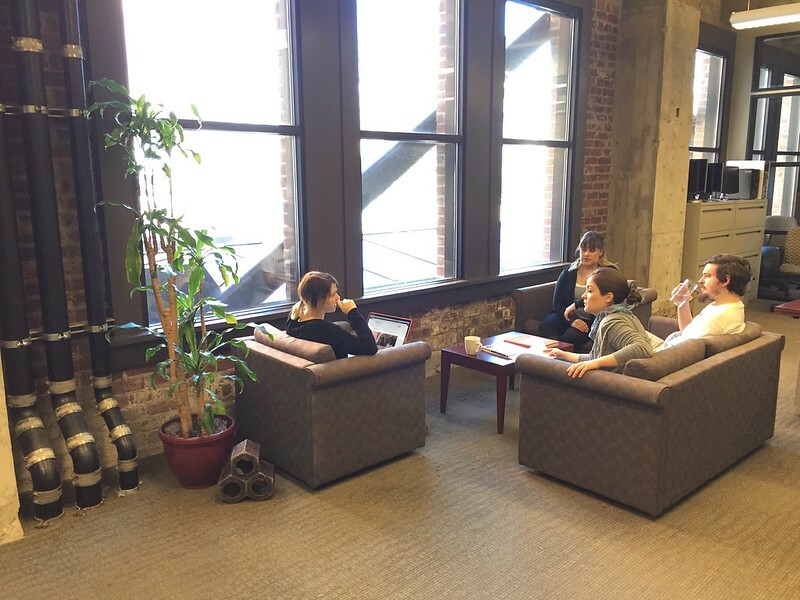 We pulled the love seat and two chairs in from the lobby and had a nice little lounge area for the day. The next day we went to IKEA and came back with a few black tabletops and a bunch of KRILLE legs. 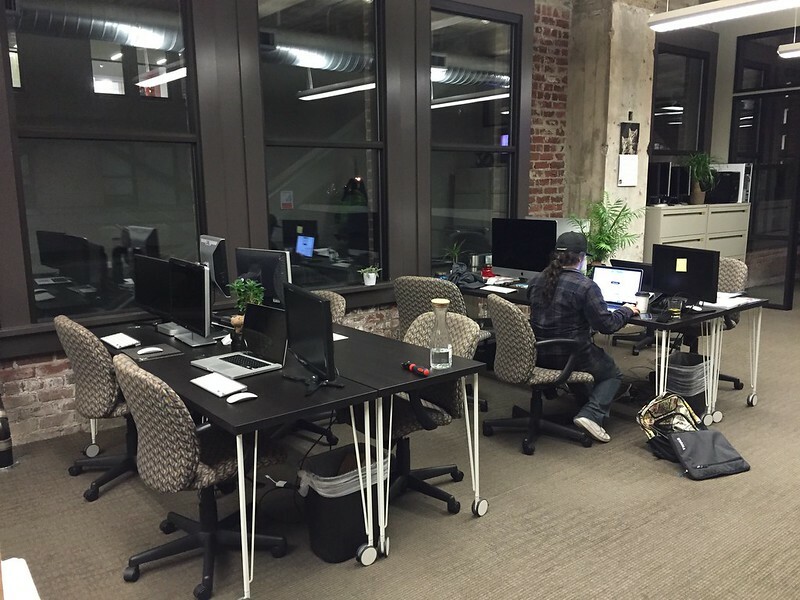 We’re still trying to figure out where the desks should go; that’s the beauty of having legs on wheels – we can move them around however we want. Next is deciding on paint colors for the walls! I spent this week trying to finalize my site architecture for TheLovelyGeek.com. It has been a challenge because I am forcing myself to go through the same process I make my clients go through instead of just jumping right into design, which I tend to do with my own personal projects. I know that by doing it this way I will have a better end product, but the designer in me just wants to create right now!